The HIPAA compliance checklist is more extensive now than it was in the past. If you are working in the medical field or know someone who is, read here for the newest checklist to make sure you won’t end up with a large fine on your back. Typically HIPAA laws affect any establishment who creates, maintains, or transmits PHI. Most healthcare providers employed by a hospital are not covered. The hospital itself is covered and must be held responsible for enforcing HIPAA compliance laws. Employers, despite maintaining health care information about their employees are not usually covered unless they provide self-insured health cover or benefits such as an employee assistance program. Your medical facility will have to pay serious fines if you violate HIPAA laws. 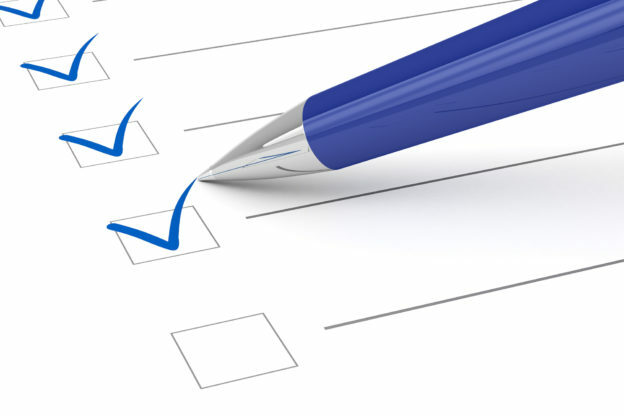 Here is a summary of the Compliance Checklist so you can make sure to stay out of trouble. This is a series of regulations in place to safeguard the patients PHI and medical records from unauthorized access. This gives your patients rights to their own health information. This rule can apply to health plan health care providers that make certain electronic transactions. These groups are required to have limitations on the use and disclosure of PHI. The security law is meant to prevent breaches in the creation, sharing, storage, and disposal of ePHI. With programs like the cloud and remote document sharing, this law has become seriously important! There are three safeguards that follow under this law! Administrative Safeguards should be in place to establish policies and procedures that employees can go by, and follow to ensure they are following the law. These policies should be written down for each employee. Physical Safeguards should guide the creation of policies that mainly focus on protecting electronic systems and ePHI from threats, environmental hazards and, intrusion. like all of the safeguards, this should be handwritten and accessible to every employee. Technical safeguards are the last of the safeguards and deal with monitoring user access to systems that store ePHI. Private schools do not receive federal funding and don’t fall under FERPA. This means that medical records of private school students may require HIPAA compliance. HIPAA, for the most part, takes over when the student turns 18 years old. The HIPAA Compliance Checklist is an important guide to go by when you own a healthcare facility. Not following these rules and regulations or providing copies for your employees to go by can land you a huge fine. To avoid this, make sure these rules are written and easily accessible. For more checklists and tips for your business click here! Or, if you need assistance in making sure you are fully HIPAA compliant, please contact us today.